If I had to say what the hardest part about reverting to Islam was, it would be conquering what was going on in my own mind. I didn’t have any outside obstacles really. My family and friends accepted my reversion well; even my coworkers accepted me, beyond some interesting questions and a couple of longer than necessary stares. In an odd twist of fate, I didn’t get too much attention as a Muslim woman, even while wearing the hijab. It took me about a year to come to terms with the fact that I wanted to revert myself, and about a month for me to tell those close to me and have it be completely accepted. One of the biggest obstacles I faced was accepting the existence and power of God. When I started to read the Qur’an things began to change. I didn’t start the Qur’an with religious intent – I did it out of scholarly curiosity. I had met another Puerto Rican just like me, except he was Muslim. Out of respect for him, I wanted to get a better sense of Islam so that I could respect his religious beliefs and understand what was and wasn’t acceptable. I had previously taken two classes on the Bible in college, so I expected to go about reading the Qur’an in the same way. I found myself not only liking what I was reading, but agreeing with it and wanting more. This scared me because I didn’t know what it meant. I wasn’t sure if I liked what I was reading and wanted to leave it at that, or if it meant something more. Eventually, I came face to face with my first obstacle: Did I or did I not believe in God? I had been saying no for the past few years because I didn’t agree with how God was previously presented to me, but I was experiencing something completely new. I decided I wouldn’t come to any conclusions until I finished, but looking back now, I think I had already accepted Islam. 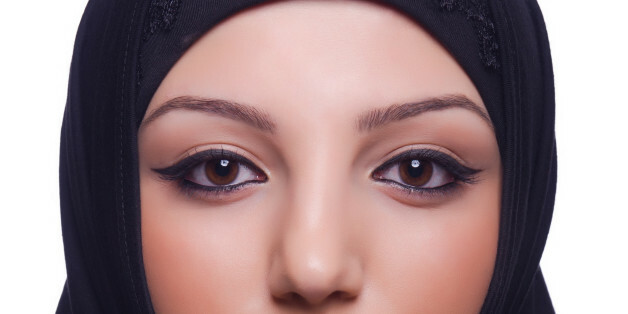 About three months later I experienced my second big obstacle – physically wearing hijab. I had known about the practice of hijab long before I began looking into Islam and loved reading books about the faith written by Muslims, particularly women. To me, the hijab beautiful. However, learning about a practice and carrying it out yourself are two separate things. As a Latina, my hair is very culturally significant. Growing up I was repeatedly taught to not let anyone touch my hair, to watch out for the “ojo de mal” or evil eye for my hair and to let it grow as long as I could stand. My hair was so important that I even got in trouble for cutting it. Being faced with covering my hair, something that was completely foreign to my upbringing, was terrifying. I had two options: Either walk away from Islam, or see how far I was willing to delve into the religion. The truth is, I just couldn’t bring myself to stop entering this journey of faith. It was then that I decided I needed to come to terms with hijab myself. I needed to understand why it was so important for Muslim women. I began buying books on Muslim feminism and reading blogs by women who wore hijab but struggled wearing it and ultimately chose not to. I looked for women in my age group, both reverts and born into the faith alike, for inspiration on how a modest women in hijab could dress. I continued reading the Qur’an and then I took some time for myself to really question what I was doing and what was truly important for me. I didn’t get my answer until a little after Ramadan. I decided to fast because I felt I needed to know what to expect if I decided to revert. I didn’t want my first fast to be after reverting because I wanted to be sure I could handle it and would be willing to carry out my obligations in Islam. As I stood in front of the mirror combing my hair I began to think of how long it had grown. I began to think of the comments I would get about my hair and how other women are viewed by their hair. It occurred to me that our hair has become a symbol of our worth in many cultures. When I asked myself why God would want me to cover it, the answer came quite suddenly, but very easily: To humble me. I realized with my hair covered I was not better or lesser than another woman. I was not a sexual object and I was not a toy to be placed on a shelf and admired. I realized hijab was a way for me to truly be humbled by the power and might of God. The hijab empowered me as a Muslim and as a woman. That day I knew I would wear hijab. By the month of May I accepted Islam, and by August I decided I would wear hijab. By October I finished reading the Qur’an for the first time. Now was the moment of truth. I had to tell my family what I was up to for the last year and prepare them for the change that was coming. I was afraid my family wouldn’t accept my new religion or would assume I was doing it for a guy. It took me another month to muster up the courage to tell them. Another month before I decided to openly show the world I was reverting, and yet another month still to officially say my shahadah (my oath that there is only one God and Muhammed is his final messenger.) Although I had learned it during the beginning of Ramadan and would say it to myself at night when I went to bed and throughout the day, I didn’t feel I had actually transitioned mentally. I finally was emboldened enough to officially say my proclaim it in front of others by the end of January. Currently, I’m working to learn to pray properly. I’ve struggled with learning which way to face during prayer and continue to struggle with how many rakat are in each one throughout the day. However, I am proud that I have finally learned to perform wudu with confidence and I am making progress with praying on my own. Insha’Allah I will soon be able to pray knowingly and properly and truly thank Allah (SWT) for leading me on this path.